Chattertons Solicitors is a full-service law firm with 10 locations in London, Lincolnshire and the East Midlands. Before implementing CIPHR’s solution, all its HR data was manually managed by the HR team using Excel and Word documents, which proved time consuming and inefficient. Edward: We are a full-service law firm. We’re committed to remaining a full-service law firm. We have eight offices in locations around Lincolnshire, one in Newark in Nottinghamshire. We currently employ 174 staff. We like to think of ourselves, actually, as a forward-looking law firm. We have recently incorporated. We’ve quite a number of projects in place. We’re currently moving to paper-light before paperless and one of the reasons we wanted to get CIPHR involved was to help us develop, modernise, etc. 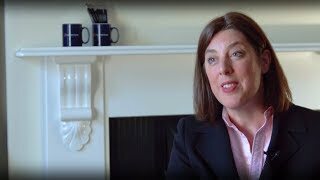 Liz: So prior to CIPHR there was very, very little management information coming from the HR department. We weren’t able to give an accurate absence percentage, for example, turnover figures weren’t provided, we had clashes with holidays. It was very, very difficult to manage people-related information. So part of my rationale for implementing the HR system was to reduce that administrative burden on the HR team. I really wanted to diversify what we offered. Huge parts of their days were taken up with data entry and CIPHR’s enabled us to move on and deliver projects and different things to the business. 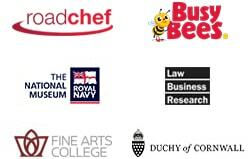 We regularly meet with our fee earners and talk about their ongoing training and development requirements. 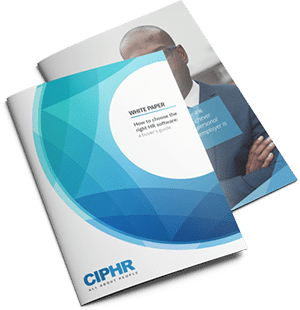 With CIPHR I log all that information on the system and it’s very, very easy to produce reports and we’re able to identify training needs and source training that’s appropriate for our business. 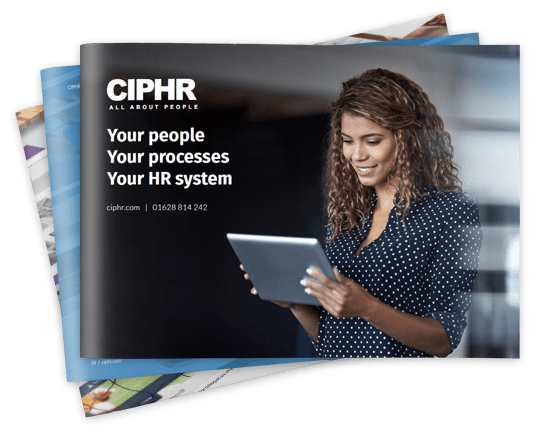 I have used a lot of different HR systems in my time and for me, when I came to Chattertons and we needed an HR system, it was absolutely natural for me to talk to CIPHR. It’s been very, very easy to deploy. People like how easy the system is to use. You can log in pretty much anywhere, authorize holidays, update your details, log your training, log your training needs, update your objectives. It can all be done by the individuals themselves. Emily: So before we were all on a paper system. So that was obviously quite lengthy. It was frustrating if you couldn’t quite keep track of the days that you’ve had, if you lost your paper, if you needed to tell reception did you need to tell HR. It was quite a lengthy and drawn-out process whereas now I think it’s instant and as is everything else in the world. So I think people are quite pleased with the way the new system has been rolled out. Liam: CIPHR for us was really straightforward to use from a user point of view as well as the background administration stuff. From a IT security perspective, I was very happy to, you know, obviously understand that CIPHR have the ISO 27001 accreditation, something that we’re looking at and working towards at the moment. We have Cyber Essentials PLUS. I think, for me, security. Security was a really big thing. Obviously, it’s such a big thing for law firms and any other organisation out there. So, basically, the HR team came to us with an issue with the current HR system and the, should we say, heavy paper-weighted processes that were behind that and we looked at various different systems. I think we looked at four in the end and CIPHR really stood out to us for, you know, being the perfect fit into our organisation and into our HR needs. So a SaaS solution for us really didn’t involve too much of IT, so it was very much led by CIPHR themselves and the project management team, who are doing a fantastic job. Having SaaS for us just means that we don’t have to look after that system. The HR input was very minimal and, you know, it’s a very effective system, accessible from anywhere on the network. Liz: As a law firm we have to provide certain information to the SRA and we were able to adjust our personal details page. We added an additional tab so the individuals can upload that information themselves directly and I just then pull off a bespoke report with this information and send it to the SRA. The hours of time that it has saved is incredible. It’s just wonderful. It suits Chattertons because we’ve been able to make it bespoke to our requirements. It is very, very easy to use, it’s simple to deploy. A lot of our fee earners are not used to doing things themselves. They’ve had secretaries historically to do things for them. They are able to go on and log their holidays. We haven’t had any issues with that at all. Emily: They just like the fact that it’s quick, I think. If they’re gonna book a holiday, they need to know, sort of, there and then I would have thought and when I’m dealing with team members that don’t work in the same office as me, that just makes life so much quicker for us. And as with sickness as well, it just means that they know a definitive procedure. They know how to deal with things and they’re then comfortable that they’ve followed the correct procedures within the firm and I think that puts people at ease. Edward: Well from the staff themselves we’ve had very good feedback. They like using it. From my own personal perspective, it enables me to see all sorts of things at the touch of a button which I couldn’t see before and it also enables my HR director to produce wonderful reports for me at the operations board. So, for example, I know that we employ 174 people at the present time. Of course, that changes in a firm of our size, we can make the distinction between male and female employees, good levies and bad. I can instantly, at the touch of a button, see what salary and other benefits each of our staff have. It enables me to seamlessly authorise absences, really, for the vast majority of the firm which would be very difficult indeed without such a system. And we can also, at the same time, see where the gaps are. So, for example, we don’t want everybody off in one department at any one time and I personally find it very useful. Liam: Yeah, I definitely recommend CIPHR. CIPHR for me was really straightforward to deploy, hopefully straightforward from a HR perspective and the input that they require. It really does provide open reporting so we can get any kind of reports out of the system, really straightforward. And it actually has been a perfect system and a really easy project for us to manage and deploy. Liz: Oh gosh, I would wholeheartedly recommend CIPHR. The teams are amazing, the service desk, the account management, the implementation. It is a very, very good system to use. It’s intuitive and you can adapt it to your personal needs.